The kimono will be fitted by a professional. It won’t feel tight when you’re walking but also will not lose its form. Otaru is well suited by Kimono which add to the historical atmosphere of the city! Many elements of traditional Japanese atmosphere remain in Otaru, making it a perfect place for sightseeing. Don’t miss this chance to walk around and take pictures while wearing a kimono. At “Beauty Shop & Kimono Rental Twinkle” your kimono will be fitted by a professional kimono fitter. It will not feel tight while you’re walking but also will not lose its form. Even your Japanese zori sandals will be made for comfortable walking, allowing you to comfortably enjoy your day. Otaru features many great photo-taking spots including brick storehouses lining canals, a small glass-blowing shop, and a shop which sells handmade music boxes! With many old buildings lining the street, “Sakai Machi Dori” is a standout among Otaru’s many wonderful spots!! Even now, many of these buildings contain cafes and souvenir shops. Simply walking through the area will be very enjoyable. For those who would like to experience a greater transformation, please select the hair-setting option. Don’t miss this chance to wear a kimono and make wonderful memories in Otaru! Kimono rentals are included so you can participate at ease! It’s fine to come empty-handed! There are no items you need to bring. Otaru has many splendid photo-taking spots. If you take pictures while wearing a kimono, there is no doubt you’ll get everyone’s attention!? Optional setting of your hair by a professional is also possible. Those who want to get deeper into the mood of kimono-wearing are welcome to try. You will be given a map of “Sakai Machi Dori St.”. Take photos at your favorite locations while walking through Otaru City; a perfect souvenir! Kimono fitting and dressing , Japanese accessories (sandals, bags) rental set! *Those who choose the hair-setting option will have hair ornaments installed for free (rental). Photography by a professional cameraman is also possible. Photo-taking locations include spots such as Sakai Machi Dori St., the area around the canal, and Otaru Food Village. If you are interested please let us know. brick warehouses along the beautiful canals, small blown glass shops, and even stores that sell hand-crafted music boxes. – Come back to the “Twinkle” , Get changed into your own clothes. – Please let us know your preferred time. * Besides the above times, we can accommodate to suit your schedule. * However, please be aware that this program requires 3.5 hours to participate. – Dressing time will vary depending on the number of people. – The above course times is just a rough estimate. * If you would like to book for 6 people or more, please call us for details. Otherwise, the kimono will not fit. they may do so with their parents or guardian. We need to know the gender, height, weight, and shoe size of each participant. Please let us know by writing it down in the comments/questions section. – Advance Payment by online credit card. – Advance Payment by overseas bank transfer. Otaru is a port city with a historical atmosphere. Please enjoy spending quality time wearing a traditional Japanese kimono. You will also have the opportunity to take many wonderful pictures! With many old buildings lining the street, “Sakai Machi Dori St.” is a standout among Otaru’s many wonderful spots!! You can enjoy the full day at a gradual pace, so you’ll be able to see all of the town of Otaru. If you keep your eyes open and walk deliberately, you might even find your very own secret photo-taking spot!? We’ll also give you a present: a small Japanese accessory matching the season. Hair set with hairdresser! Rental of small items also enriched! You will be given a map of “Sakai Machi Dori”. Kimono fitting and dressing , Hair set , Japanese accessories (sandals, bags) rental set! – 5:30pm　Come back to the “Twinkle” , Get changed into your own clothes. 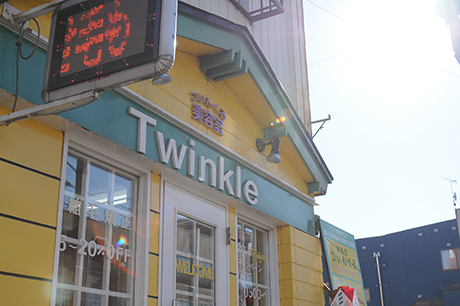 * Please come back to the “Twinkle” by 17:30. * If you would like to book for 5 people or more, please call us for details.